The deal is almost done. 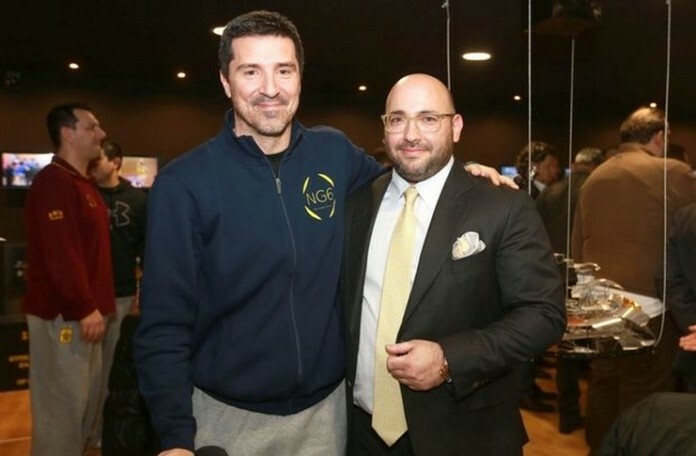 According to the owner of Aris BC, Nikolaos Laskaris, who made statements earlier today on OTE TV in Greece, Dimitrios Priftis is most likely going to renew his contract with Aris BC for the next season. He also said that the deal will be made official once the play-offs are over in Greece, which seems like the logical thing to do. Priftis' name has come up recently as a likely candidate for Alba Berlin, Cantu and Banvit but the Greek coach who's had a great season in the Greek A1 league is going to remain with Aris. Priftis managed a players' budget of less then 800,000 euros for the entire team and managed to finish 3rd in the regular season behind Olympiakos and Panathinaikos and also had a good run in the Eurocup. Aris BC is the only team in the Greek A1 league the did not change a single player throughout the whole season and will be ending it with the same roster. Even with the team being plagued by injuries the rest of the players managed to fight back and also managed to run a 2-0 streak against Panathinaikos in the play-offs but ultimately lost the series with 3-2 (after a 2-2 tie).